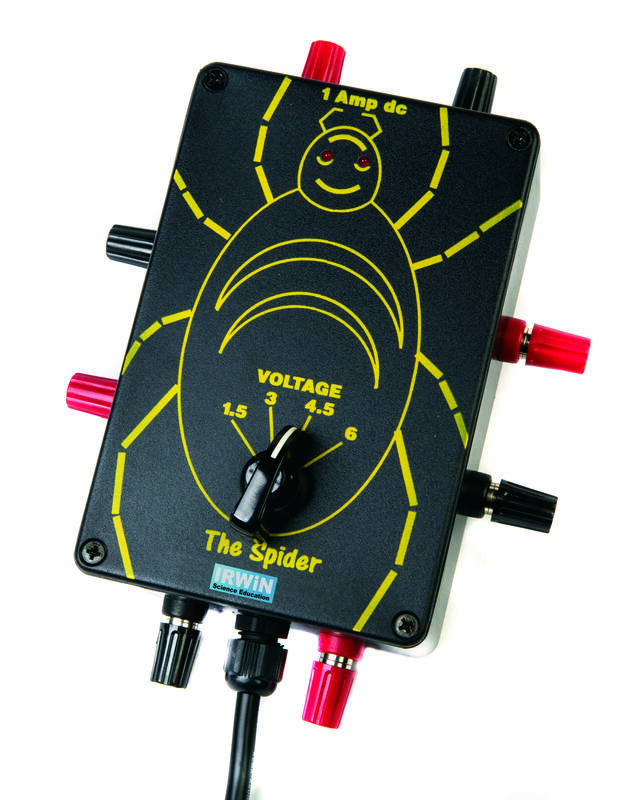 Our very popular Spider power supply has been specifically designed for Primary, Middle and Lower Secondary school use. 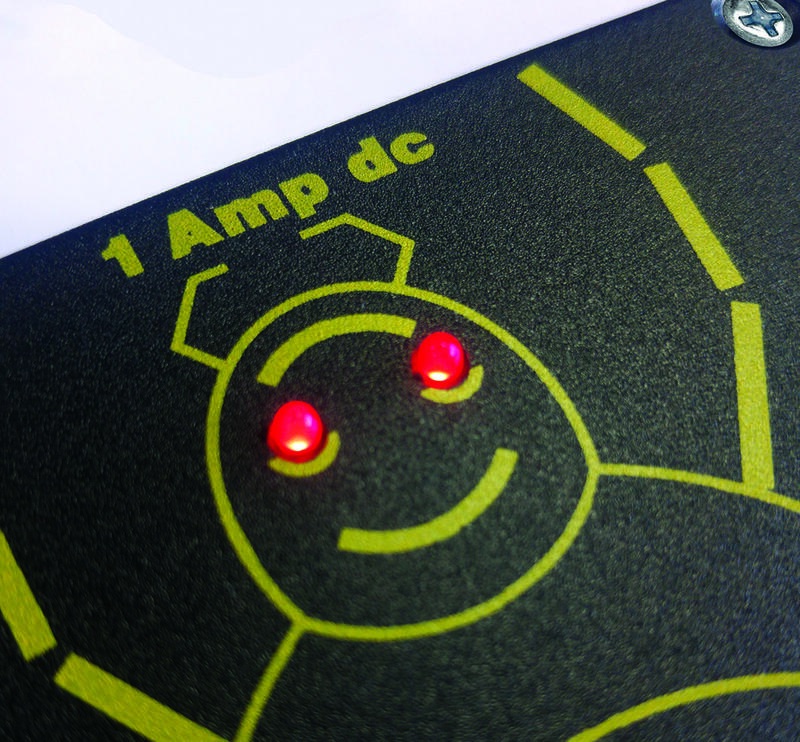 Offering 1.5, 3, 4.5 or 6V smoothed and regulated DC at up to 1A, it is the ideal next step from using cells and batteries. Four sets of terminals mean it can be used by four groups simultaneously enabling children to connect a multitude of low voltage electrical devices with the spider's bright LED's act as power output monitors.